Community Medical Services, Inc. guarantees all merchandise to be free of defects. Products can be returned for 100% credit if returned within 30 days (subject to the guideline below). Products returned after 30 days will be subject to a 15% restock and handling fee. All items must be returned in their original package, and are subject to inspection by Community Medical Services, Inc. We regret that many medically-related products are not allowed for resale. Therefore, no credit will be issued for products that we determine cannot be resold (other than defective products). Any product defect or shortage must be reported to us within 48 hours from receipt of the order. All returns must include a Return Authorization Number (RA#). Please call our toll-free number for RA#’s. Please have the invoice number and date of purchase available when calling. You must contact customer service for authorization prior to sending any product for repair. Every product sold or rented by our company carries a 1-year manufacturer’s warranty. Community Medical Services will notify all Medicare beneficiaries of the warranty coverage and we will honor all warranties under applicable law. Community Medical Services will repair or replace, free of charge, Medicare covered equipment that is under warranty. In addition, an owner’s manual with warranty information will be provided to beneficiaries for all durable medical equipment where the manual is available. Community Medical Services, Inc. has no control over freight carriers. We take responsibility for shipping the product to you. 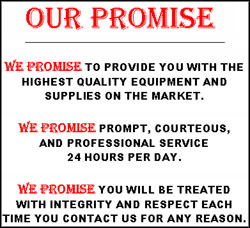 If for any reason our carrier looses or damages your product, we will follow up with the carrier on your behalf. All claims for damaged or missing merchandise must be made prior to the 2nd business day following the delivery. All incoming shipments (return, exchange or repair) are the responsibility of the shipper (customer). All claims in these regards must be taken up directly with the carrier. Community Medical Services, Inc., has no liability for products damaged or not received. We recommend that our customers use carriers that can track and insure their freight. Community Medical Services, Inc., values its customers and respects their privacy. We collect customer information in an effort to improve your shopping experience and to communicate with you about our products and services. Community Medical Services, Inc., recognizes that it must maintain and use customer information responsibly. We DO NOT sell or rent the information you proivde to us online to third parties. However, we do share your information with third parties when that information is required to provide you with the products and services you purchase (i.e., shipping services).